Ionic technology promotes circulation due to release of negative ions that are absorbed by the blood stream to react with water molecules. This stimulates circulation and lymphatic drainage leading to a reduction in inflammation, pain, swelling, and improved recovery and repair of cells and tissues in the lower limb through adequate supply of oxygen and nutrients from the blood. 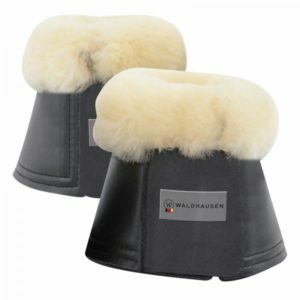 Sold as a pair, can be worn on front and hind legs. For use while your horse is travelling or in the stable. 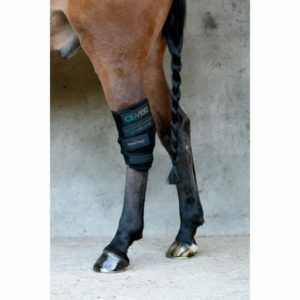 • A fetlock protector with size and weights complying with the International Rules for Young Horses categories. High quality has always been the hallmark of Veredus, combining they very lastest technology with innovative raw materials and attention to detail to produce products which are respected and used by the champions of our sport. The best fitting and performing ankle boot for jumpers with strike plate technology. The shell is composed of semi-rigid polyurethane that mold to your horses legs. The Eva reinforced strike plates protect as your horses brush. 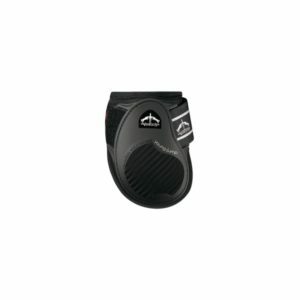 Fast release ferrules with narrowing hook holes allow fast and easy hooking and release, without compromising security. 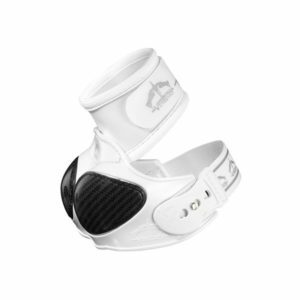 The best fitting and performing open front boot for jumpers with strike plate technology. 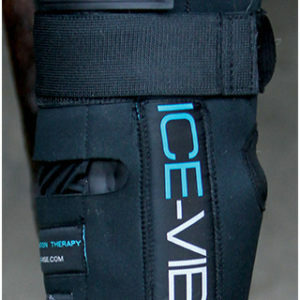 The anatomic design give more freedom of movement to knee and fetlock, while providing maximum comfort and support. The dual density shell provides more protection. The main shell is composed of semi-rigid polyurethane while the rear “x” strike plate provides extreme durability and protection after repeated strikes. New Colour series. Email or phone us for other colours.